A Career You Can Be Proud Of! Outside Linemen primarily install and maintain the overhead distribution and transmission lines that move electrical power from power plants to local consumers such as businesses, homes and factories. They also install and maintain poles and towers, underground systems and sub-stations that are required to power communities. Outside line work is important and exhilarating, but it can also be physically and mentally demanding – and dangerous. Much of the work is performed “in the air,” so it is a requirement to climb utility poles or towers, as well as work from a bucket truck. Communities need to remain powered – and their demands for electrical energy are constantly growing as new innovations in technology continue to develop. This has created a tremendous need for Outside Electrical Linemen to maintain existing systems and install new ones for growing communities. 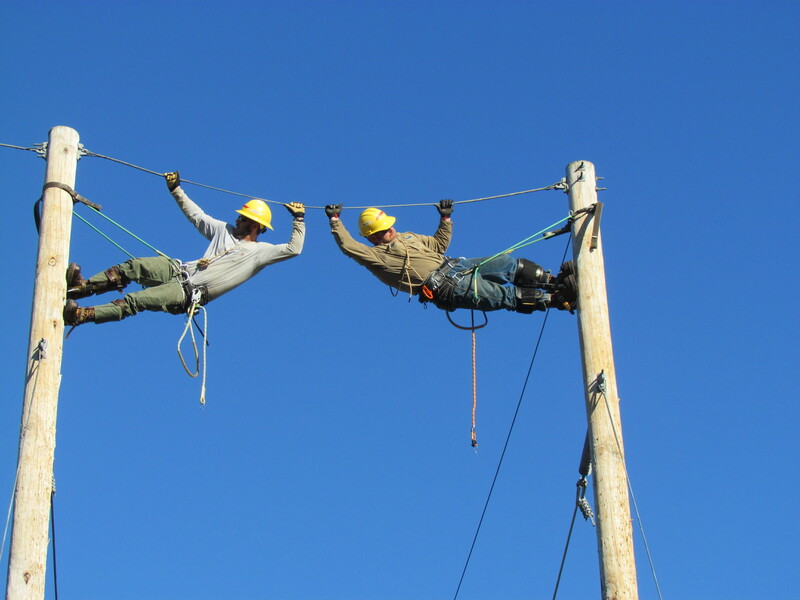 Outside Linemen work on energized lines and equipment, so they must be capable of performing their work at all times in a safe manner. 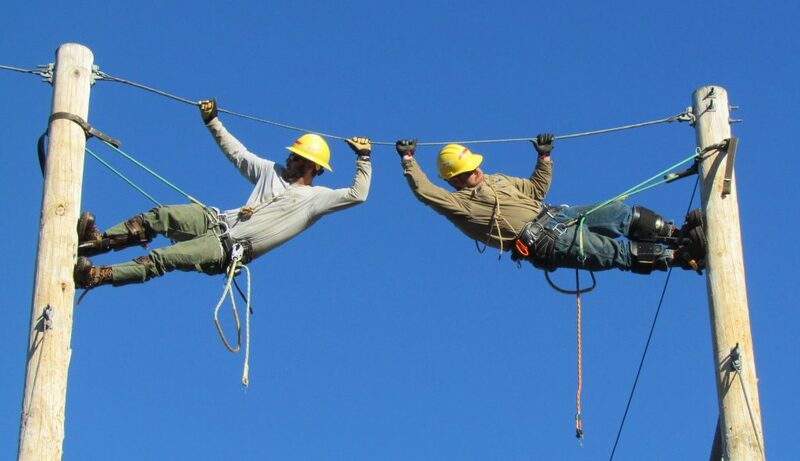 Most electrical-line work is performed outside; therefore, Linemen often work in poor and extreme weather conditions. 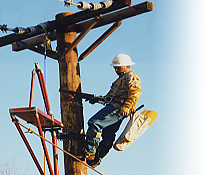 Much of the emergency work Linemen perform is caused by extreme weather. The job requires physical strength. Because much of the work they perform is at heights ranging from 40 to several hundred feet off the ground, Lineman must climb up and down metal towers, wood poles and other structures. 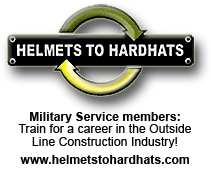 They also must handle heavy equipment and other materials. Travel is a requirement. Linemen often travel and live away from home. Working under the supervision of Journeyman Lineman, apprentices assist in the placement of footings, and the assembling and erection of metal towers, framing and erection of wood poles, installation of hardware, insulators and conductors.